A blast from the past where Water and Leaves now stands . 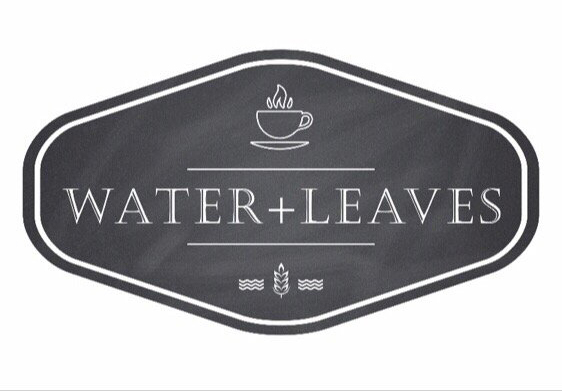 . .
Water and Leaves, a boutique upscale tea and coffee house on the Wharf, is now available for special events. Originally built in 1960 as a wholesale commercial fishing market, was abandoned in 1985, and restored and remodeled in 2016 to fit its contemporary setting. A blend of old and new details include open beam ceiling, concrete floor accents, custom wood tables and bar tops cut from a single tree, and a full scale mural of Philipe DiGirolamo pulling in fishnets from boats that used to dock just outside where Water and Leaves is now. 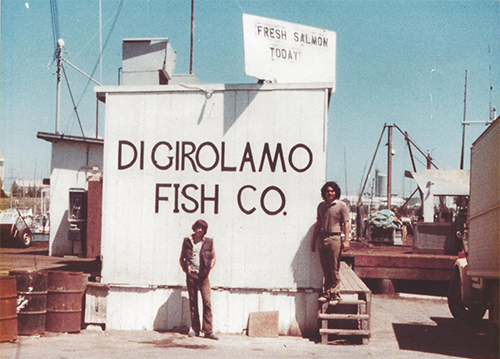 A Sicilian immigrant who came to Monterey 80 years ago, Philipe’s fresh catch of the day was prepared and served in his sons’ restaurant, Angelo’s, that opened on the Wharf in 1945, giving his family deep roots in the Monterey fishing and restaurant industries. With its history, beautiful renovation, the stroll down Fisherman’s Wharf, and the private balcony overlooking the harbor, whatever your special occasion, events at Water and Leaves are bound to be unique, entertaining, and picturesque. Call Classic Catering at 831.647.0114 to find out if Water and Leaves is the perfect fit for your special occasion. Call Now to Check Availability!